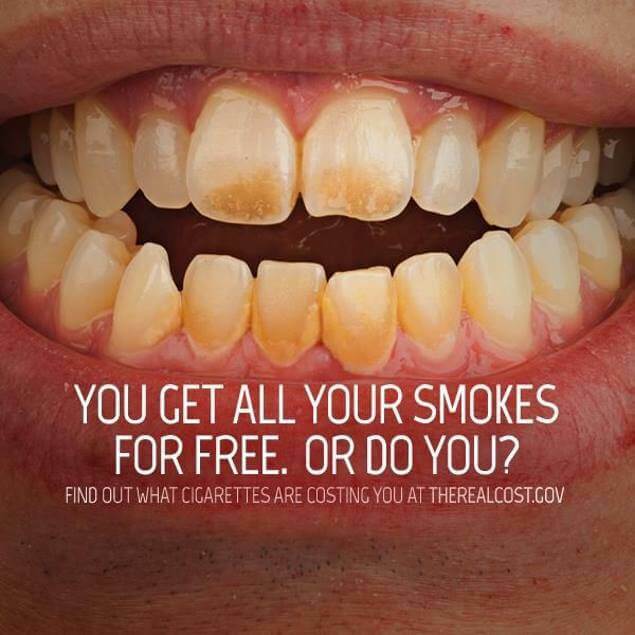 We have all probably seen anti-smoking campaigns either on TV or billboards around the city. You have probably glanced at it while passing by or caught a few moments of a commercial, but do you know exactly what these campaigns are trying to promote? Yes, no? 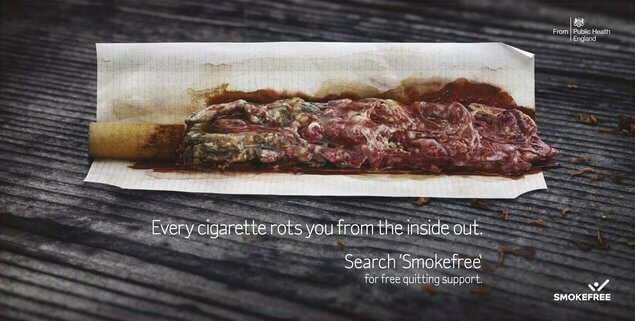 Well, either way, we have compiled a list of the 10 most interesting anti-smoking campaigns that you may or may not have heard about. 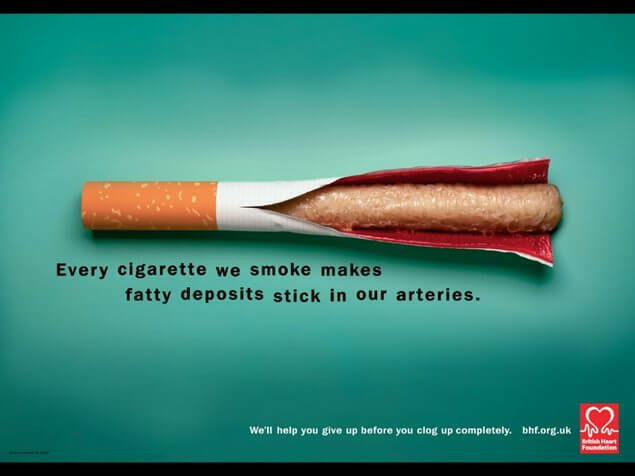 If you know about any interesting anti-smoking campaigns that we may have missed, let us know in the comments below. This campaign was created by the National Preventive Health Agency of Australia in 2011. 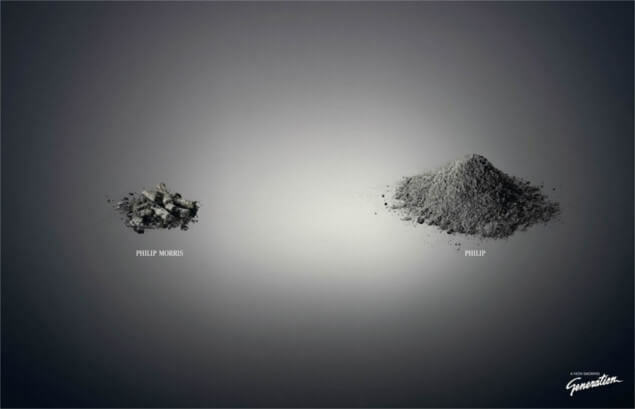 The informative video showcases in a serious manner just some of the deadly chemicals a person will face when smoking. The video also demonstrates these chemicals to and puts things into perspective. 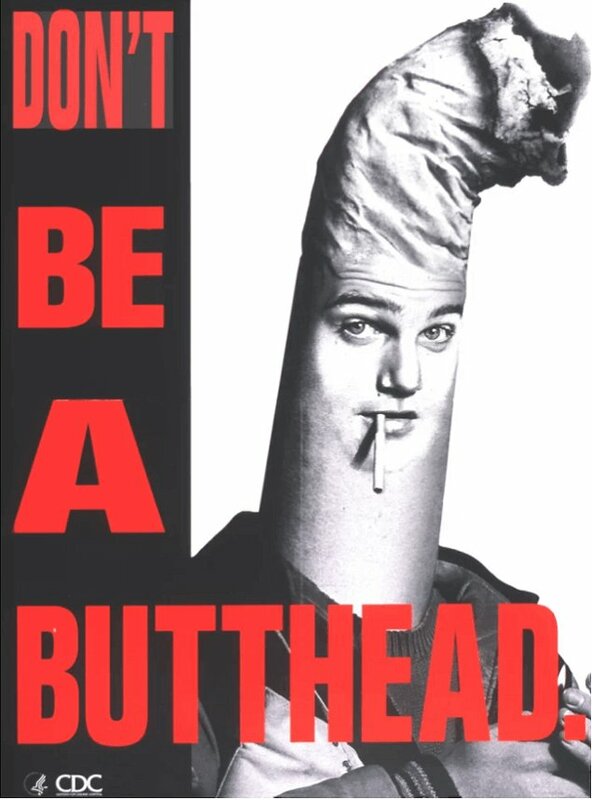 The Butthead anti-smoking campaigns first started in 1998 to unpopularize cigarettes humorously and creatively. The CDC’s campaign tactic was to create “edgy” posters to attract as much attention as possible to point out the fact that smoking was unattractive and damaging. 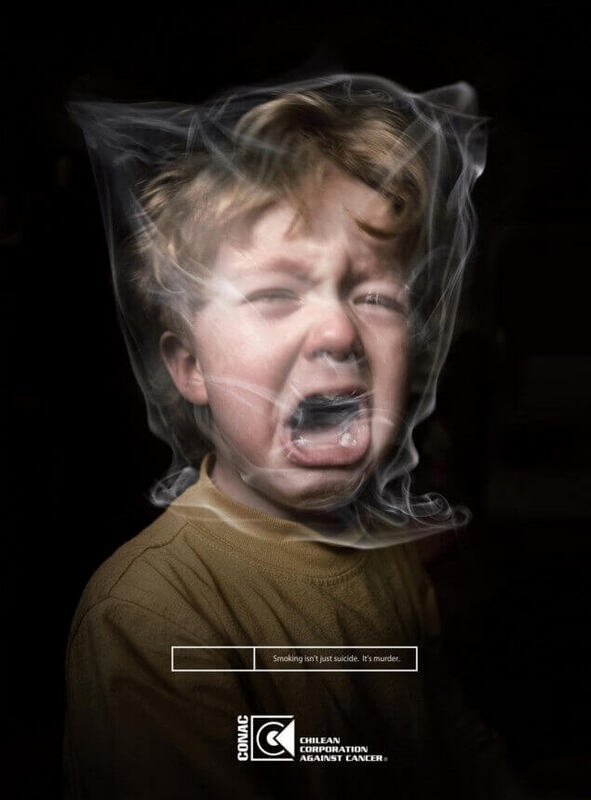 This advertising campaign was created by the ad company King for the Swedish brand Non Smoking Generation in 2009. From the picture, it feels as King was going for more of a shock tactic on just what will happen if you start or keep smoking. Public Health England has begun a campaign to inform people about some misconception about how rolled cigarettes are not as bad for you. Looking at the ad, it gives you a sense of just how bad they really are. The Real Cost is an interactive website created by the FDA’s Center for Tobacco Products. The goal of their site is to give you the cold hard facts and truth about tobacco so someone can make educated decisions. 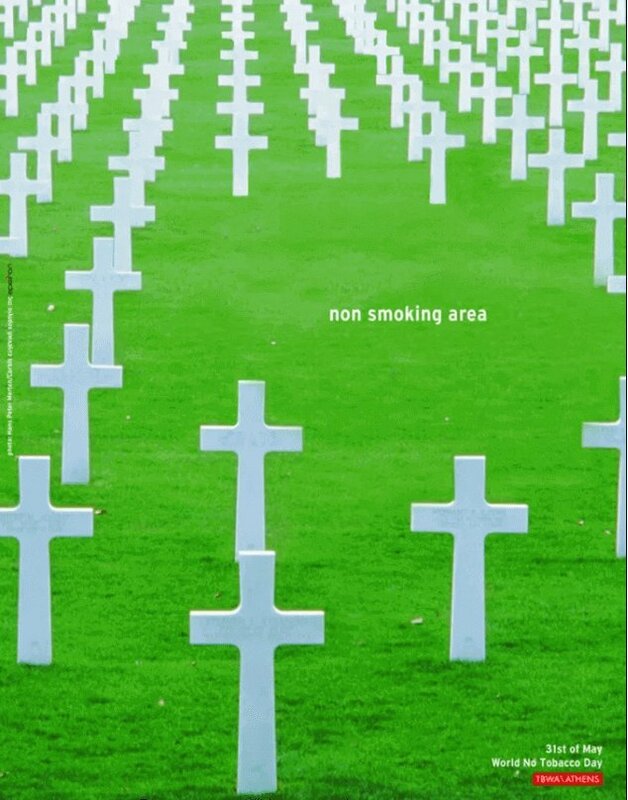 CONAC or Chilean Corporation against Cancer started the campaign ‘Smoking is Murder’ in 2008. The campaign comes across shockingly, as just how badly second-hand smoking can affect children. The Lung Association supports people affected by lung conditions. They research important treatments and cures for people with a wide array of lung problems. 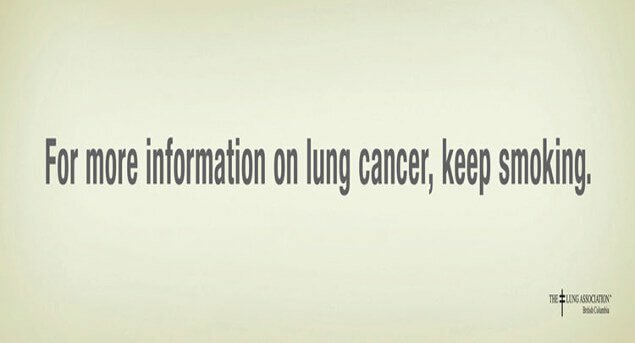 They campaign to promote improvements in all areas of lung health. World No Tobacco Day is an international event that pushes governments and the public into measures that promote better health and confronting the global tobacco crisis. The British Heart Foundation’s main goal is to stop people from dying early from heart disease. Their campaign tactics are very direct and to the point if not a bit disturbing. ‘Tips’ is another campaign by the CDC (Centers for Disease Control and Prevention) featuring tips from former smokers. The video definitely opens one’s eyes on just what smoking can do. Did you find our choices interesting? Yes, No? Let us know in the comments below, and if you think we missed something you think should be on our list. Tell us in the comments or on Social media. How Gainesville, Florida is Helping its Community to Quit Smoking and Why?